What I am reading: I just finished “The Fire by Night” by Teresa Messineo. My favorite WWII historical fiction genre. I wanted to just keep reading and at the same time I wanted the book to last a long time. It is about two nurses, one in the Pacific and one on the Western Front. Captivating reading. And now I am reading Donna Ball’s Ladybug Farm series. Love it! “Snow Days”: In case you hadn’t heard the Arizona school teachers went on strike. The first two days were fun, a nice break from the routine. But once we hit day 3 I started some home schooling for my son. It is frustrating not knowing when school is going to resume. What I am watching/watched: “The Bletchley Circle”, set in a time period I find fascinating (1940’s – 50’s) and a mystery. Plus it was only three episodes so not a huge commitment. I stumbled on season one on Ovation TV and am thrilled to see there is a season two. And I have the first episode of the new season of “The Good Witch” on my DVR, saving it for when I can sit and really savor it (see snow day above). 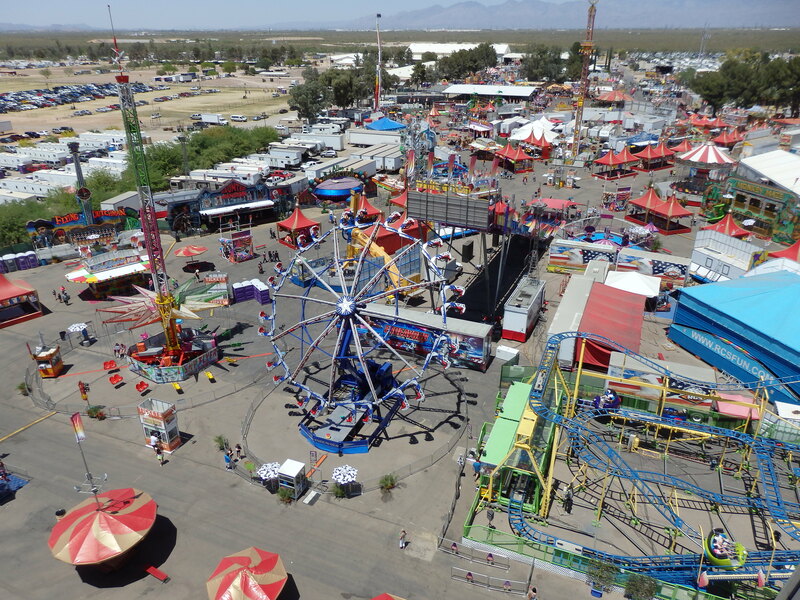 Something we did: We went to the Pima County Fair. We have only gone once before in the 8 years we have lived here. It is just not my favorite thing to do. Too hot and too pricey as I remembered it. It was still the same. It was a good family outing but I doubt we’ll go again because of the cost. A sky high view of the fair. Three Potlucks: I have had to make something for three different potlucks in the last two weeks. For my end of season bowling potluck I made brownie crusted cheesecake with a strawberry topping and for our annual Guild salad luncheon I made lemon squares. 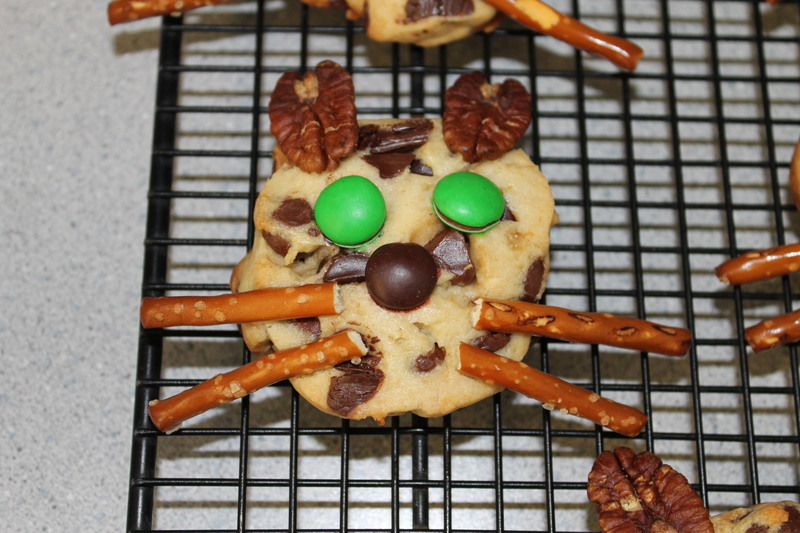 But my favorite was the chocolate chip kitty cat cookies I made for my son’s end of season bowling potluck. I have made these before and forgot how cute they are.